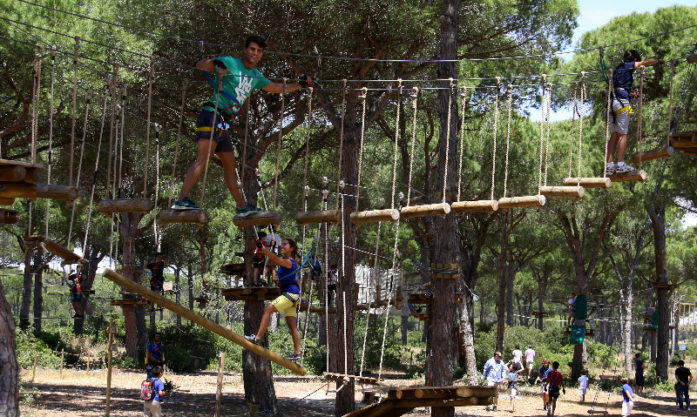 Entre Ramas is an adventure park in the trees is located in the pine forests of Roche. It has 5 different circuits that are increasing of difficulty. You can enjoy these activities from the age of 6. The activity consists of a route through trees with zip lines, hanging bridges, etc. All controlled by specialized monitors. This park currently has a total of 58 games divided into 5 courses of different difficulty. They have a schedule from 10h to 21h hours and in January, November and December is closed. It has different rates depending on the age. Villas Flamenco encourages you to enjoy a day with family or friends in this adventure park and then rest in our apartments.